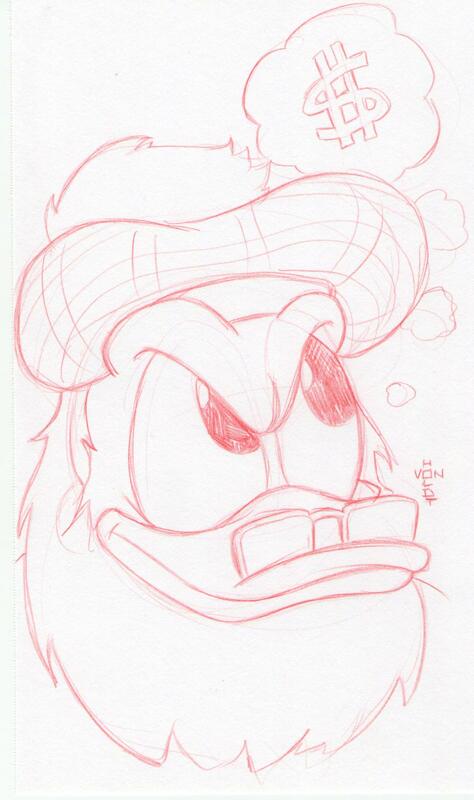 For this doodle I remembered the best villain from Duck Tales, Flintheart Glomgold. 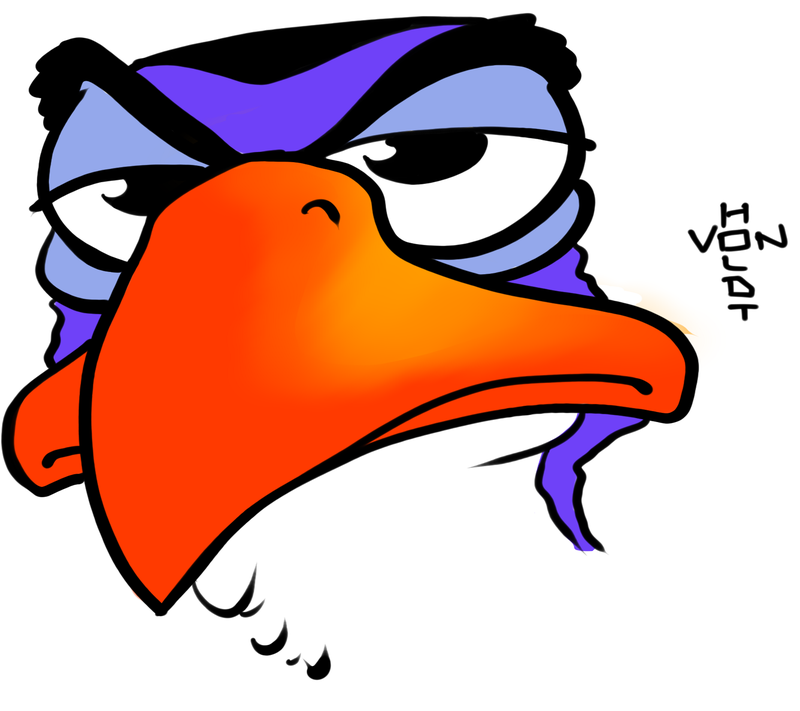 I loved grumpy little guy. 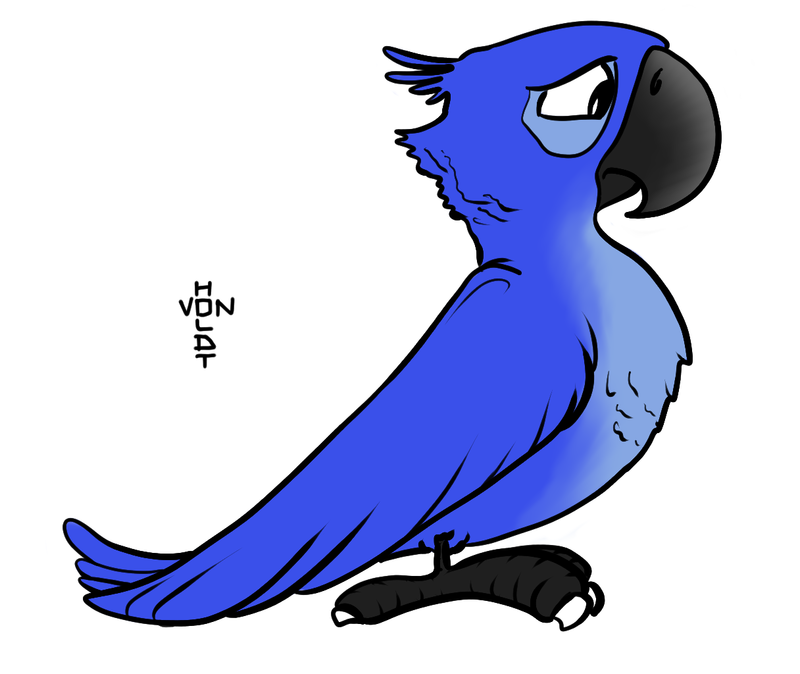 This Abu didn’t come out as well as I had hoped, but that’s all I had time for today. I loved the way he and Carpet fought in the first Aladdin movie. 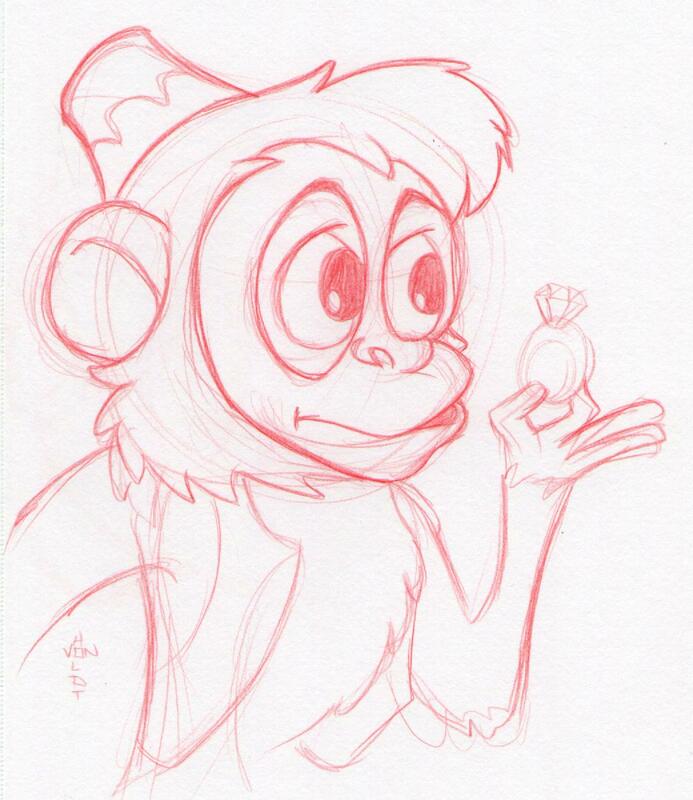 I thought I’d do a few more pencil sketches of favorite characters from Disney properties. 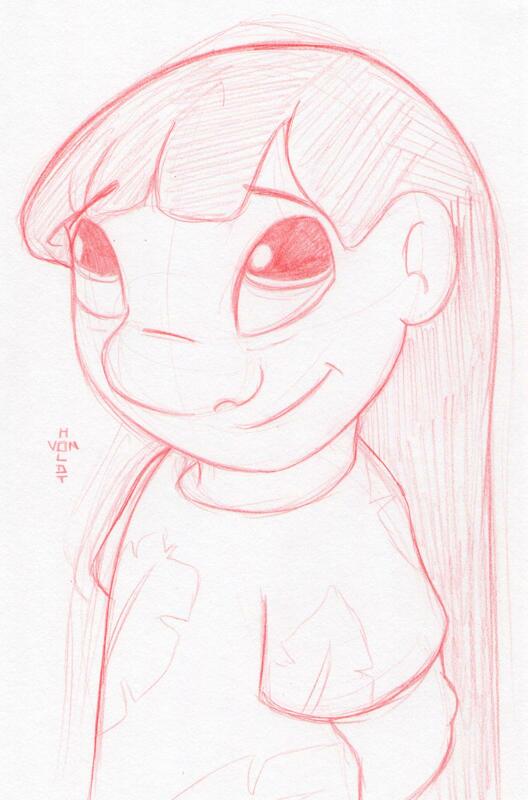 I’ve drawn Stitch a few times, so I thought I’d draw Lilo instead. 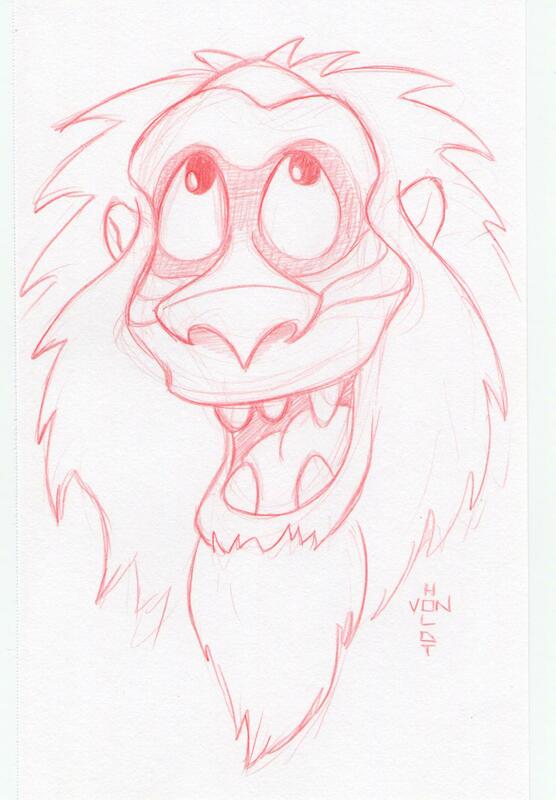 This doodle is again due to being surrounded by Lion King 3D commercials lately. I always thought Rafiki was the coolest character from that movie, though he didn’t get a whole lot of screen time. Fox’s new show Terra Nova starts tonight, but we actually already have both our Tivos tasked to record other shows so I’ll have to catch it online sometime. I hope it does well, because the premise sounds like a lot of fun. Today I ran the projection system at church, possibly for the last time. Hopefully we will find out soon if we’ll be moving or not. 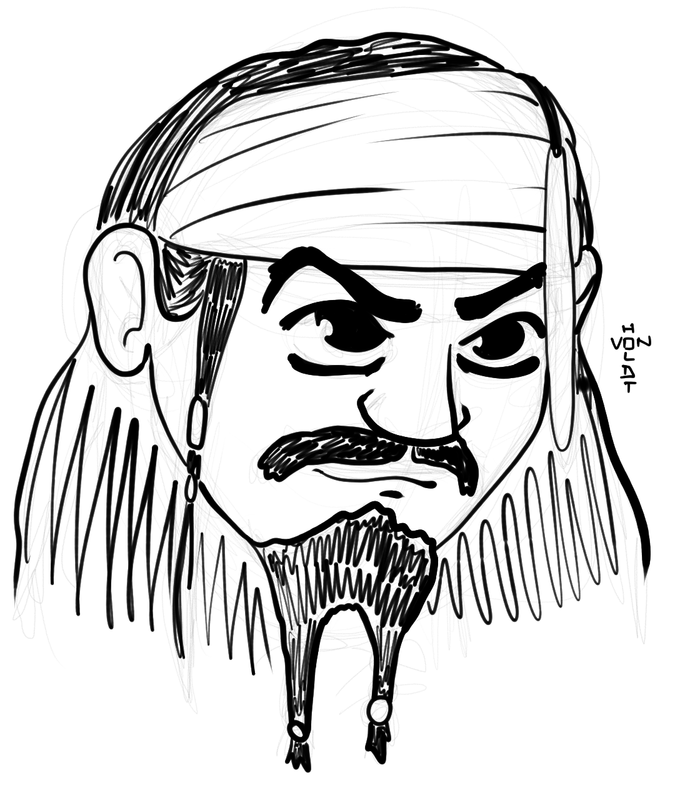 Tonight after our youngest son went to bed, my older son and I decided to watch the first Pirates of the Caribbean movie. This weekend we rented the Rio Wii game for the boys, which is just a huge collection of mini games that had them bouncing off the walls tonight. 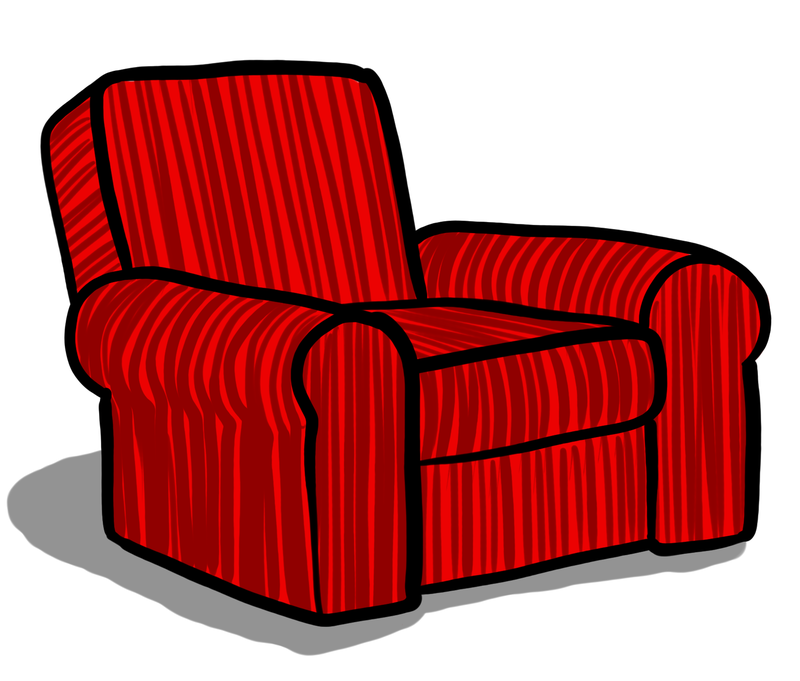 Tonight’s Big Bang episode featured this chair that Penny found on a curb and Sheldon found severely disgusting. 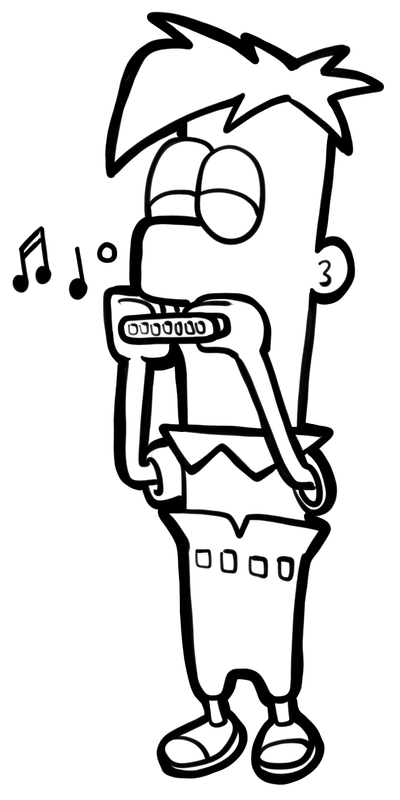 Our son has moved on from drawing Phineas to now drawing Ferb Fletcher, so I added another member to the band. 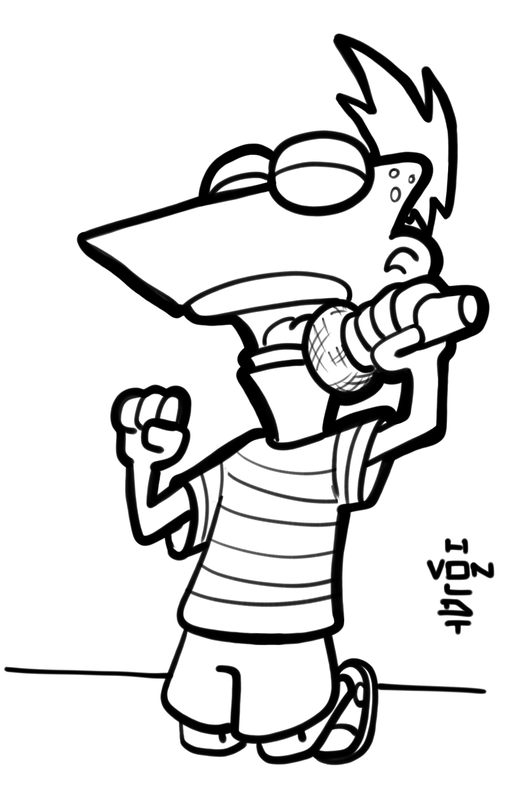 Our 7 year old son asked if I could print him out some pictures of Phineas Flynn so he could draw him, so I thought I’d scribble this doodle real quick. 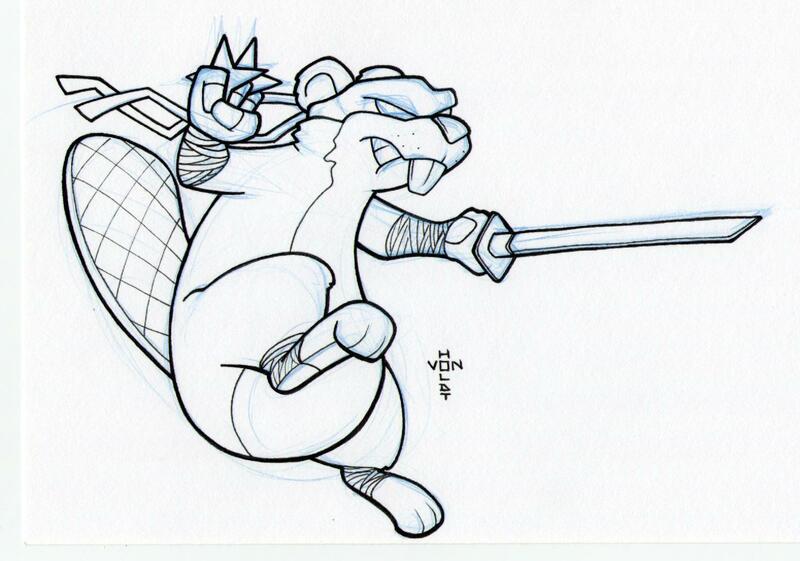 I was asked to draw a ninja beaver for a logo at work, and after coming up with this concept. I ended up finding someone else’s ninja beaver online afterwards that had a similar head scarf, but their’s was much cuter. 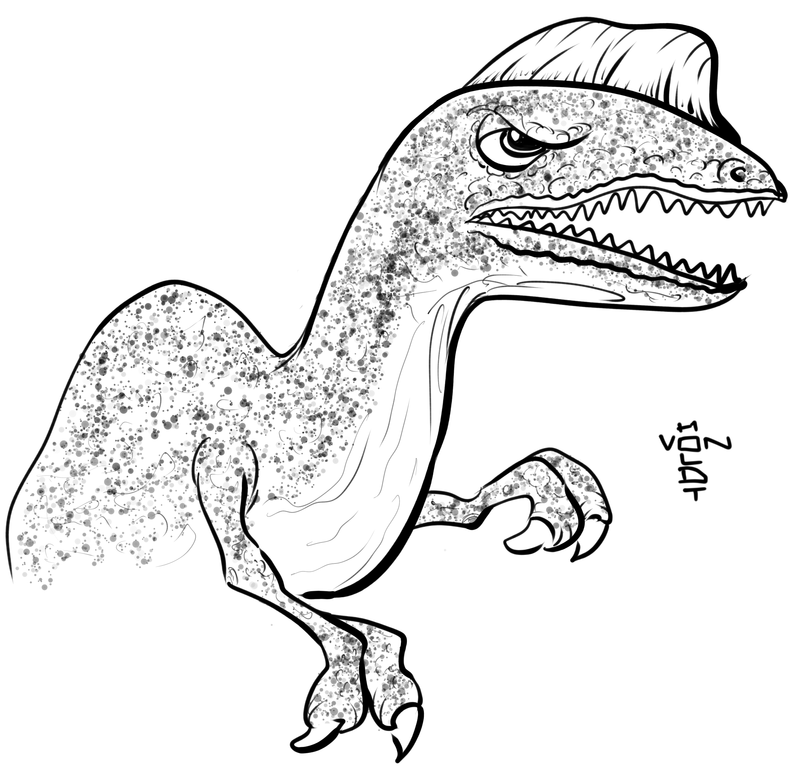 I think his ears are a little too big, so I’ll have to fix that when I color it. 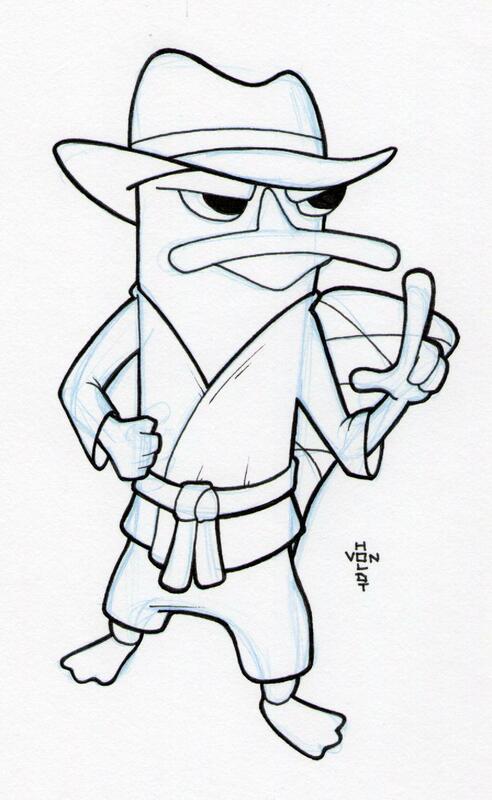 We rented the Phineas and Ferb Wii game for the boys this weekend from Red Box, so I doodled up Agent P in a little Karate Gi.